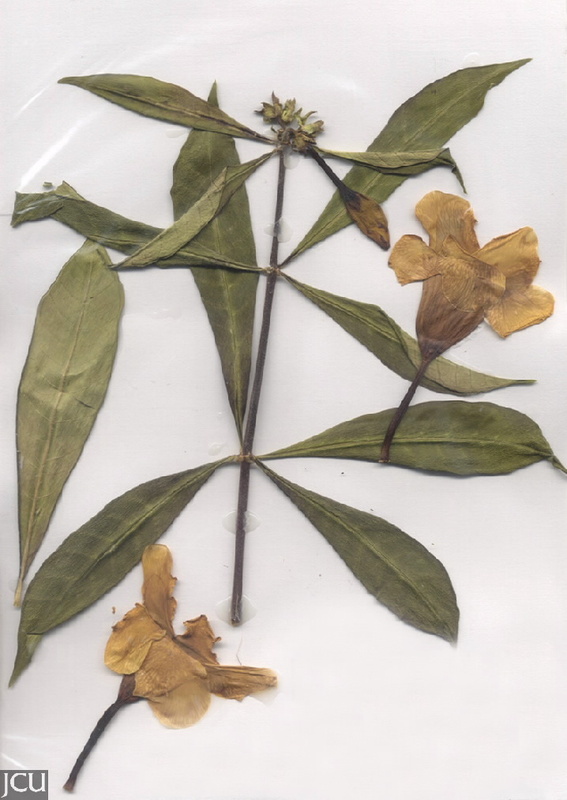 Glossy green opposite leaves, latex present. 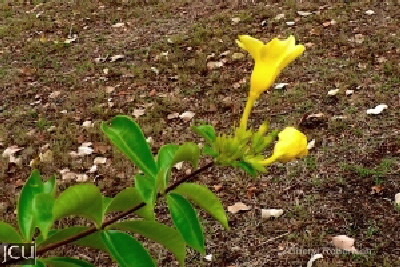 Flowers funnel-or bell shaped, corolla with 5 yellow petals. Fruits uncommon, cuttings and root suckers. Poisonous properties.